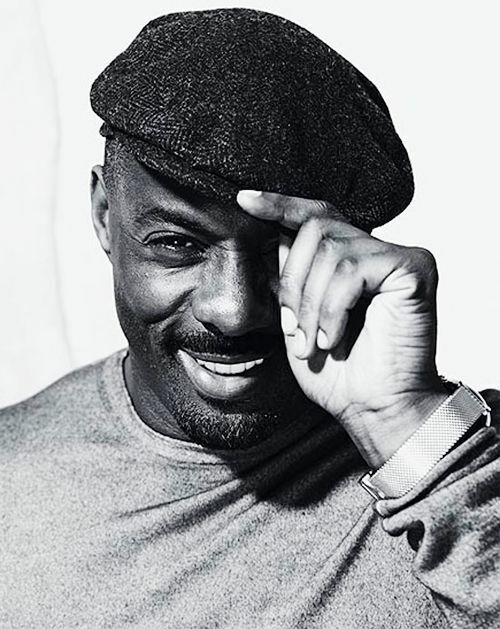 Home › Dating Stories › Well, well, well – Idris Elba or Nah? I almost didn’t show up last night. He lives in Europe. I live in the states. A chance meeting brought us together in Manhattan during his business trip, but what could possibly come of it? *****He seems honest enough, but what kind of life is he living overseas? With whom? *****Do I really want to be bothered? *****Do I really feel like wearing a dress and makeup? And on and on. I was trying to talk myself out of enjoying the company of a handsome man — because — What if? What if he’s crazy? I’m gonna watch my drink closely. What if he’s a con artist?! What could he possibly want from me? Lol. I remembered my Jamaican friend who married a German man and moved to Switzerland. I think they met when she was an exchange student in Germany. They have two children now. I remembered telling myself, several times, that I would remain (or try to be) open during this process. Three years of the single life has probably made me even more of a skeptic! And I really have no horror stories because I’ve trusted my intuition all along the way. Yeah me! Anyway, I had a great date with this very chocolate Idris Elba look alike. Similar British accent too (definitely a first for me). Conversation was spectacular. We’ve both spent a lot of time as single parents. Lots of laughs. He’s very insightful – and analytical. Handsome, and seemingly the transparent type. Loves music. He’s smart and creative. And – he picked a spot where we ate West Indian cuisine, and listened to reggae tunes playing in the backdrop. Y’all know that’s my fave! His assessment of me? That he has a lot of gates to get through before he gets to the “golden one.” Come on now, am I really that guarded??? He also said I have a very calming presence and that I take my time assessing the “RISKS” of any given situation – and that my job in finance has helped me cultivate that skill! He’s right. Oh, supposedly I had a raised eyebrow as I listened to him, and I’m really a Caribbean girl at heart (I’ve heard that so many times!). Lol. Well y’all, this is one for the books… haha! I think “LB” could be cool. He’s here often. I love New York! 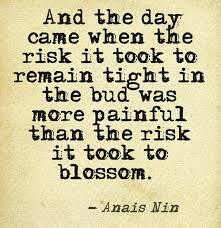 Have you ever assessed the risk so closely, you missed (or almost missed) out on the opportunity to have fun? Or are you pretty spontaneous? How is that working for you? What’s your criteria as far as saying Yes to a date? What are your conditions, if any? It sounds like a very good beginning, Shakiyla! I am like you, very relatable post. I overthink everything, and often write off the “relationship” even before a first date. I have tried the spontaneous go-with-the-flow attitude, but is not for me, there’s no switching off my brain. And I DO care about risk, about tail risk specifically.. like you, work induced behaviour. Ha! So well said. I think the pros of risk assessment outweigh the cons. Who’s going to protect our hearts but us? I have absolutely no regrets about the single years (3.5 so far). I needed the time and space. I’m more clear on what I want now. And a lot of people really are a waste of time (liars, cheats, etc). Sounds like a terrific evening. Idris Elba look alike compete with accent? Yes, I think that trumps long distance. Nothing wrong with having gates. Love that he sees the last one as golden. The entrance to something quite special. That’s a great observation. Definitely one of my more enjoyable outings. Lol. Thanks. I know that it’s possible to be single for a long time. Don’t get me wrong, he seems to have it all together. I would continue to analyze the situation until the fact are positive. He would really have to work on me. Lol…. Girl, most people go a lifetime (I would argue) without finding a soulmate. I’m not easily moved or convinced, so I understand that. But, girl. Time will tell if I ever see or speak to him again. The dating scene is a very fickle and flakey place, so you never know. Part of finding balance is managing our expectations. I say go for it. I can definitely get behind what you said above in that everyone is indeed struggling to find balance … which is exactly why (in this PIsces’ mind) following one’s instincts are so important. Life is so incredibly short. I’m one of those who see it all as some sort of grand adventure. Hmmm, Interesting. Yes, trusting instincts is essential. And time flies by. May as well mix in some fun with the challenges that surely do and will come. **balance is key. Girl, you had me at Idris Elba…lol I am also very guarded with my heart. I don’t open up easily and i have a hard time believing in men. All in all, you took a chance and just see where it goes. Hi! 🙂 Thanks for chiming in. Yes, ugh! Some of them just lie so much. So unnecessary! I’m glad I went, after wrestling with the decision. Yes – we shall see! When I was in the dating game, I was going on a lot of dates. It’s a numbers game so the more women I meet the more chance I have of meeting one who will be right for me. At one point I had over 15 women I was actively talking to. Some I ended up meeting some I didn’t. That helped my options. I was fine because I did it on my terms. I decided it was time for a relationship so I started to look for women who had those same goals. I got all that out of my system. 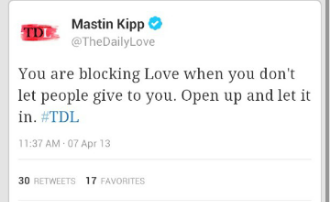 This makes relationship life much easier. Agreed. You gotta be fully ready or else it’s a waste of time. Thank you! You never know. Wow. That’s sooooo exciting! Congratulations!